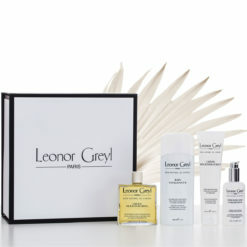 This luxury set helps restore flexibility, shine and volume, uniquely enhancing the beauty of short hair. Shampooing Au Miel: Start with a small amount and apply to wet hair. Emulsify using small amounts of water. When a gentle lather builds, rinse thoroughly.